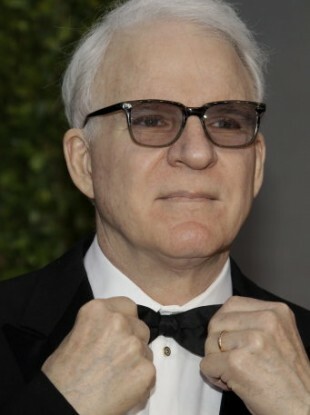 HOLLYWOOD ACTOR, comedian and Oscars host Steve Martin is now believed to be among the victims of what has been described as Germany’s biggest art forgery scandal since the Second World War, according to Der Speigel. The German publication said that Berlin investigators say a modernist painting entitled Landscape With Horses that Martin bought in 2004 is a fake. Having bought if for around €700,000 from the Cazeau-Béraudiere gallery in Paris, Martin sold it for €500,000 through Christie’s auction house in early 2006. The German investigators believe this painting, supposedly by artist Heinrich Campendonk, was really made by a group of four Germans already thought to have forged and sold dozens of paintings. Speaking to the New York Times about the forgery, Martin said he hadn’t realised it was a fake when it bought it – or when he sold it. He admitted he wasn’t sure though if could face any legal issues, saying: “The gallery that sold me the picture has promised to be responsible to me, if I’m responsible, but it’s still unclear”. He also admitted to having purchased forgeries “once or twice” before. Email “Steve Martin fell victim to German art forgery scam”. Feedback on “Steve Martin fell victim to German art forgery scam”.